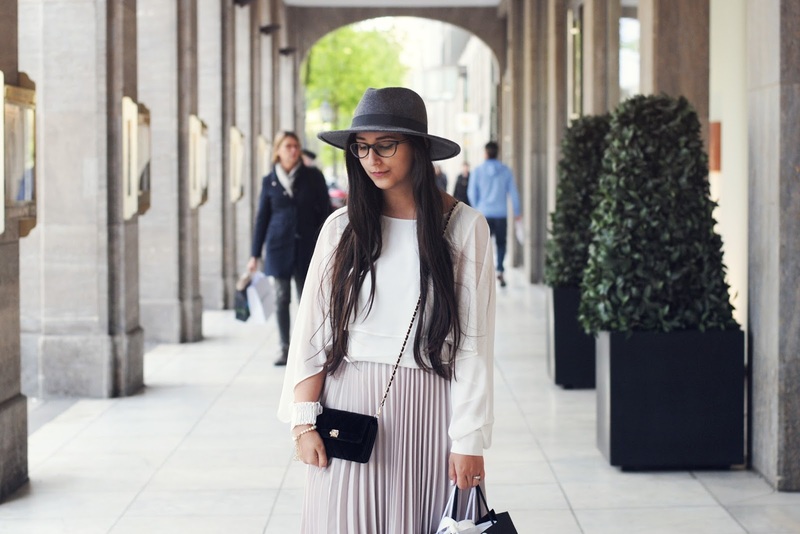 Two posts today again! 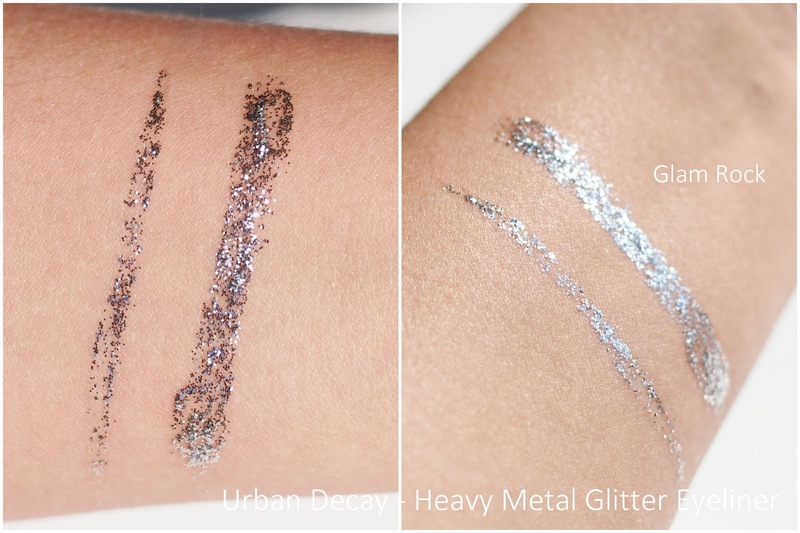 The first is a little review about the Urban Decay Heavy Metal Glitter Eyeliner. A product that I don't use that often, but I should move it to my top drawer. All the glitz of glam rock—without the spandex or bad hair. There are 7 colors available: Distortion (multi-colored glitter), ACDC (purple glitter), Spandex (dark blue with some lighter blue, green, pink,... glitter), Amp (light blue with some emerald), Junkshow (pink with some blue, green, red,... glitters), Midnight Cowboy (gold glitter) and the one I have: Glam Rock - silver glitter. 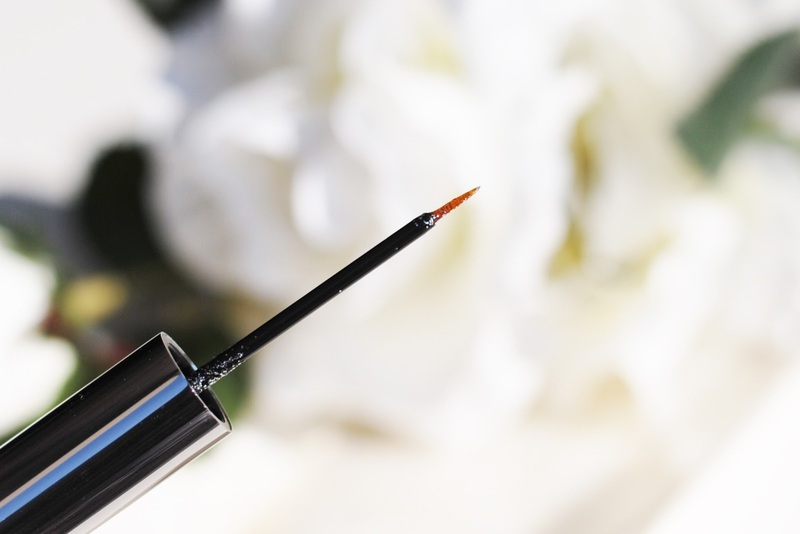 The eyeliners are water-based and suspended in a gel which gives a clear base. 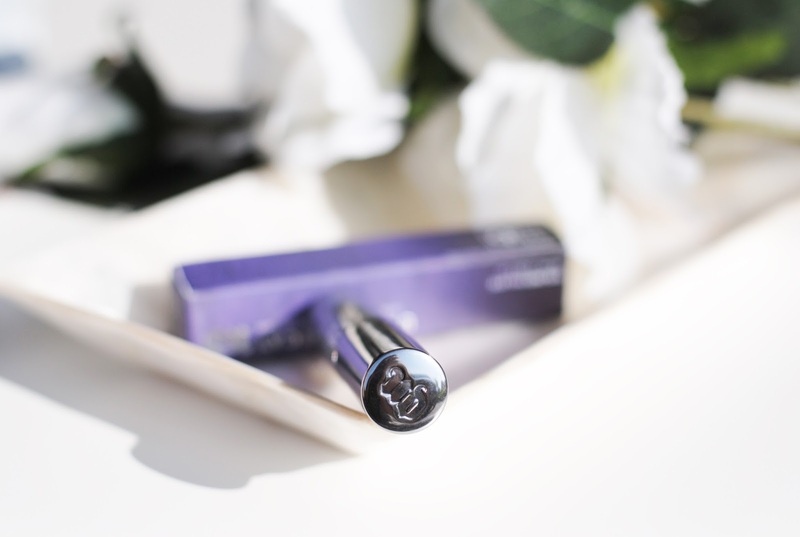 The Heavy Metal eyeliners have a very fine brush that works precisely. 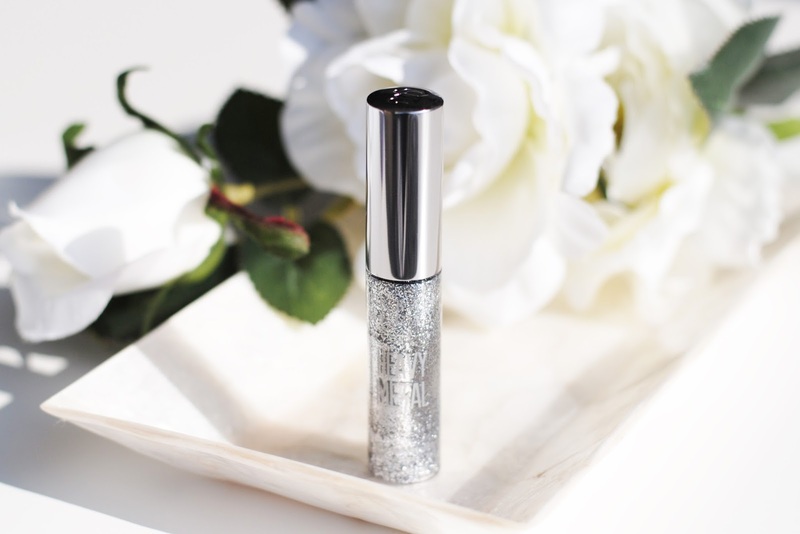 The formula is very buildable, you can go from a fine line with some glitters to an almost full covered glitter look. 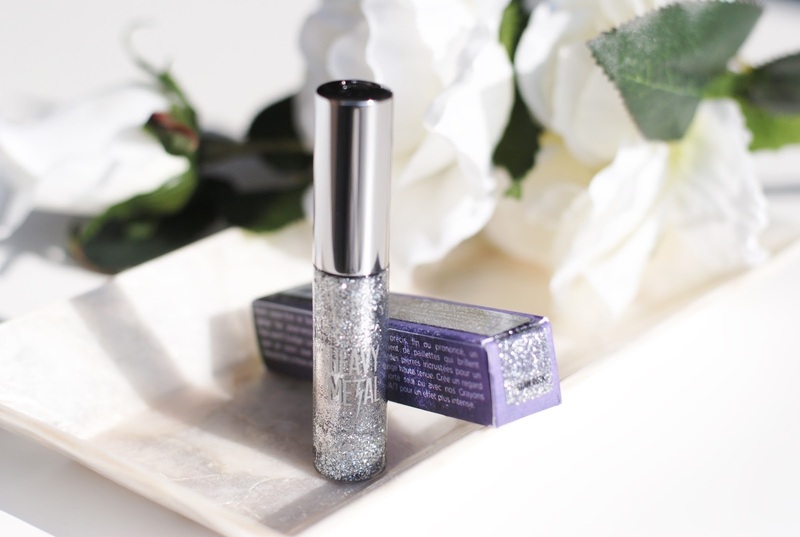 You can also remove the wiper (the little piece that controls how much product comes out of the bottle) and tap on the glitter with your fingers. 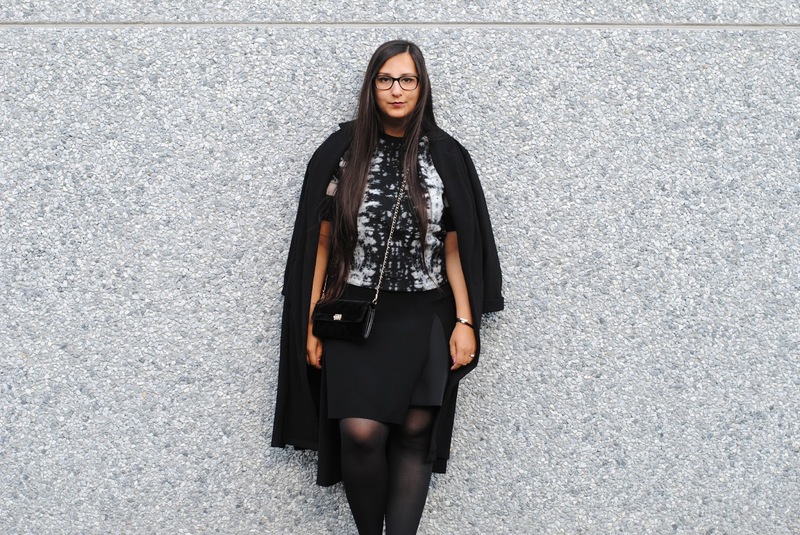 Nothing fancypancy about this look, this was just the 'look' that I wore yesterday. A simple wing jazzed up with my Glam Rock glitter eyeliner. On the swatches above you can see how buildable the eyeliner is. It stays on the whole day, without any fall out. I should really use this more often! 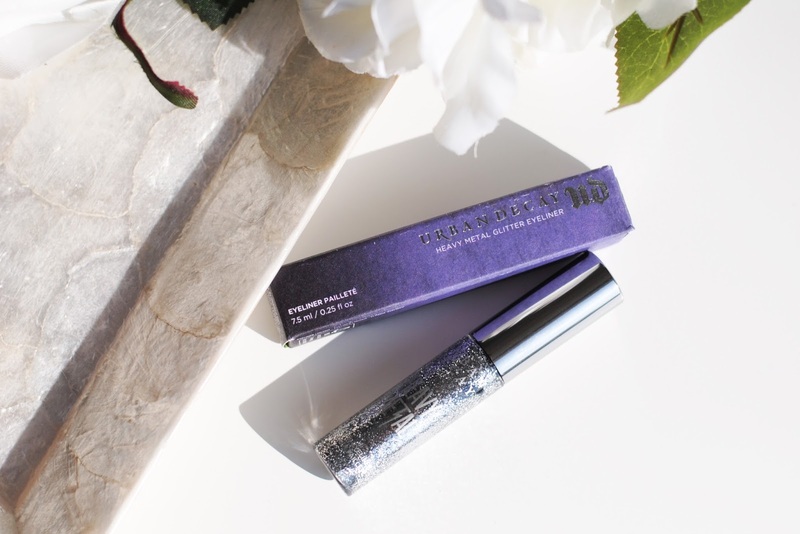 This glitter eyeliner is one of my favorite Urban Decay products. I'm also eyeing Amp (especially Amp), Distortion and Spandex. 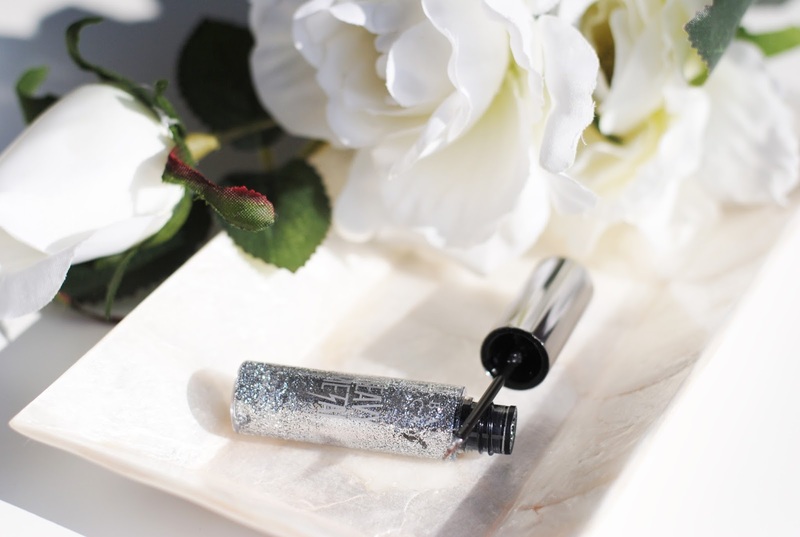 Do you like glitter liners, have you ever tried out one? 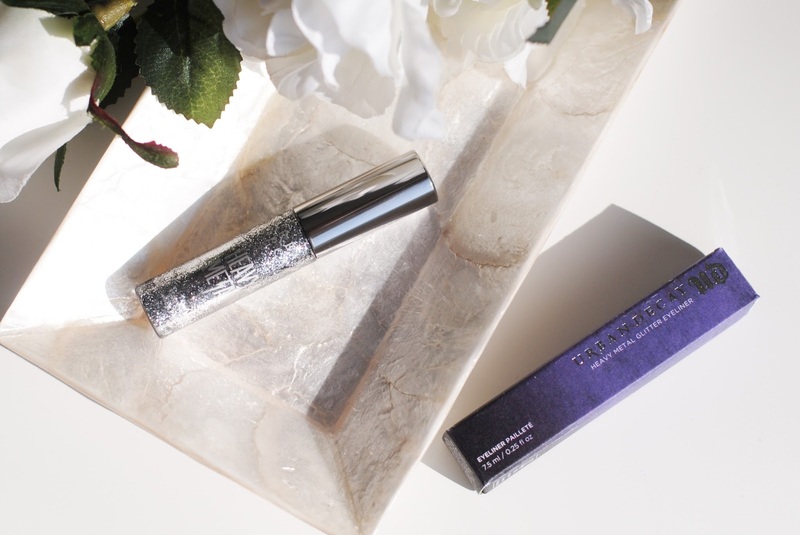 This is one of the coolest things Urban Decay made so far, I really like it! It's so pretty and so special! 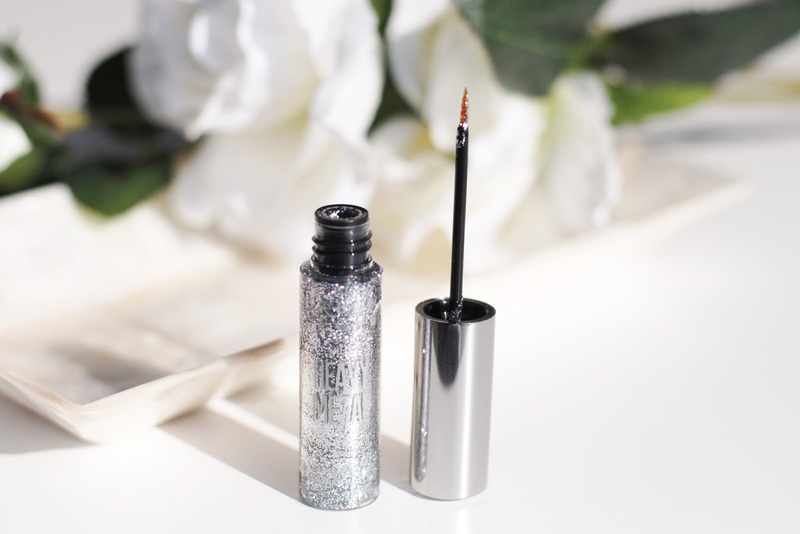 I have a love-hate relationship with glitter, but I do love the look you created with this eyeliner. I want it!!!! 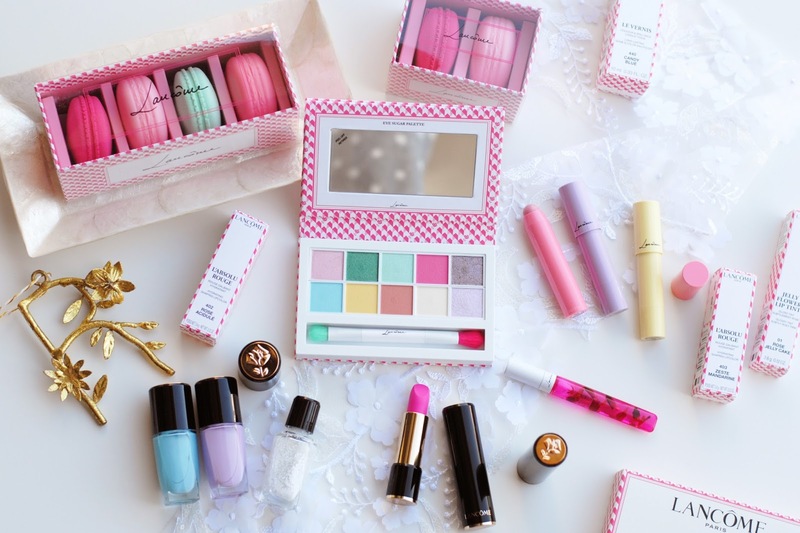 THat is so pretty!!! !